The Avon Manual Barrier is a counter weighted manual lifting arm barrier, to control vehicle access, ideal for parking control, road access and traffic management requirements. 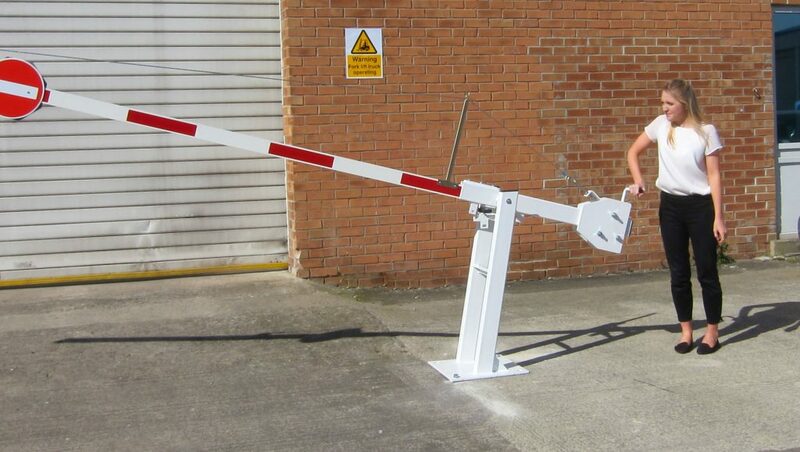 A simple & economic means of securing an area from unauthorised vehicles, without the need for any power requirement. The installation is to a preformed concrete base, the barrier base is simply bolted to the ground. The barrier has a strong double legged pedestal of all steel construction, primed and painted white as standard, with a boom carrier designed to take an aluminium barrier arm of rectangular cross section 76mm x 38mm. Each manual barrier is supplied complete with handle to assist with lifting/lowering, appropriate counterweights, boom, locking pin and padlock. The barrier can be secured with the locking pin at the pedestal, in both the raised and lowered position. 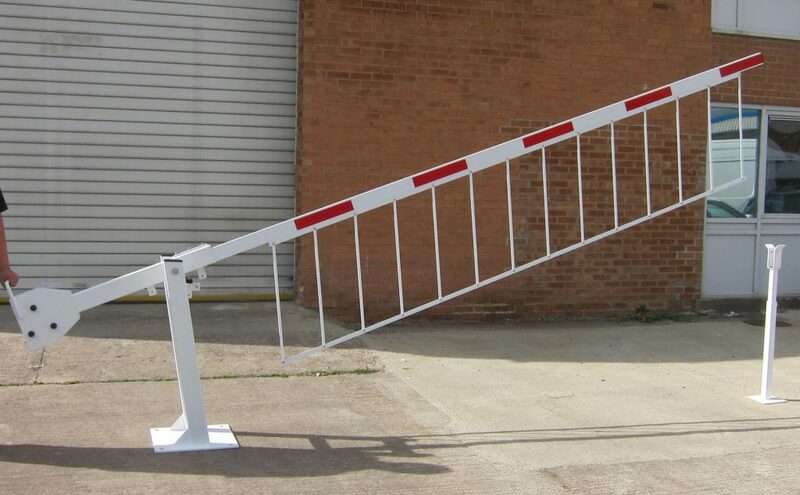 Barriers with a boom length in excess of 5 metres require an end support, (either a boom mounted pogo stick or fixed surface mounted), for stability and a straining wire assembly. A pair of manual barriers in a tower bridge formation, complete with a central locking mechanism, can be provided to control wider roadways (up to 13 metres). Construction: 100mm x 50mm mild steel rectangle hollow section double legged pedestal. Base plates with pre-drilled holes for surface fixing. Counterbalanced for ease of operation. Boom: Aluminium section white powder coated finish with red fascal stripes. General arrangement drawings for Avon Manual Arm Barrier is a counterweighted manual lifting arm barrier, to control vehicle access.